As you can see, we are currently setting up the new lab. Please note that our website and Wiki will be in a state of flux over the next few weeks as we reorganise things. Please see the main website, for status updates on the move. London Biohackspace is a community-run molecular biology and microbiology lab. 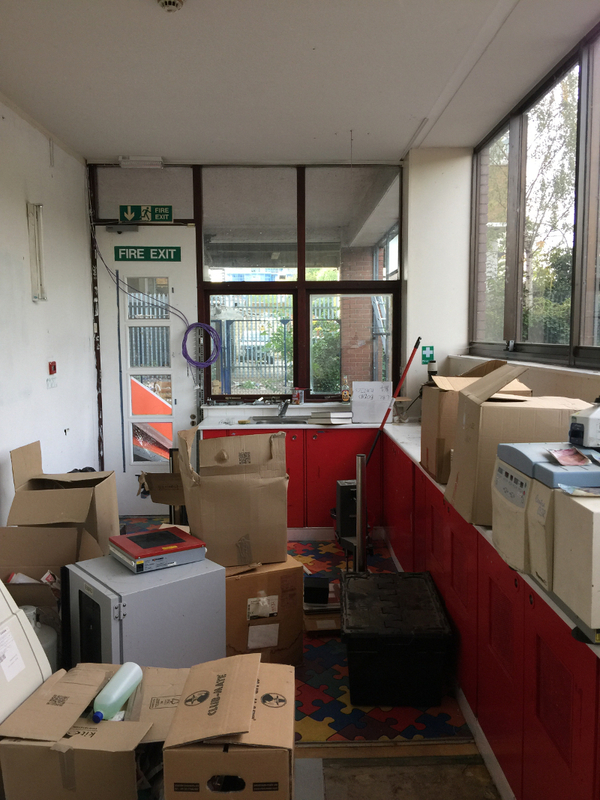 We are in the process of moving from our long-term home in London Biohackspace, but we’re still organising regular talks on our Meetup group. To give you some idea of what we’re into, recent projects have included genetic modification of yeast, a cyanobacteria growing workshop, SNP testing, and sequencing DNA found in soil. The strength of the DIYbio community is the diversity of its members, and we welcome enthusiastic amateurs and professionals, regardless of background. In the past, artists, engineers, biologists, and programmers have all engaged with the Biohackspace to carry out innovative bioscience projects. Our lab is funded through members’ contributions and the generosity of our supporters. If you would like to become a member, or to make a regular donation, please have a look at the Membership or the donations page.